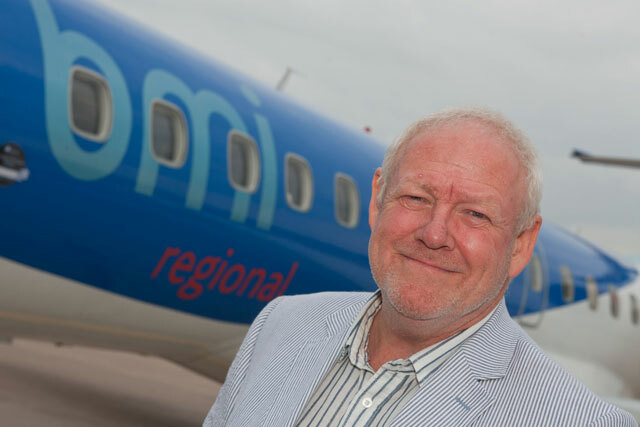 BMI Regional head of marketing Frank Mertens will keep his role following today's completion of the £8m sale of the airline by British Airways to Sector Aviation Holdings, who say no redundancies are planned. Sector Aviation Holdings is a consortium of businessmen that IAG has previously described as having "considerable aviation experience". SAH said the regional airline will be operating "business as usual", retaining its brand identity as part of the sale, while head of marketing Frank Mertens will continue in his role. SAH said there will be no job losses at the airline as part of the sale, retaining its 330 staff. Ian Woodley, who co-founded airline Business Air and sold it to BMI’s predecessor British Midland in 1996, will become chief executive of BMI Regional. He said: "It is very much our aim to develop the network in both the UK and Europe and with the future now secured and that uncertainty removed, we can look ahead with confidence." The £8m deal includes all of BMI Regional’s fixed assets and long-term liabilities, including owned and operating lease aircraft. IAG was forced to take on loss-making BMI’s subsidiary airlines bmi baby and BMI Regional as part of its £172.5m takeover of BMI, after former owner Lufthansa failed to find a buyer. IAG has since announced that bmi baby will be grounded as of September. BMI Regional is based in Aberdeen and flies to 14 destinations from UK airports. SAH is funded by Stephen and Peter Bond, who are also investors in Loganair.